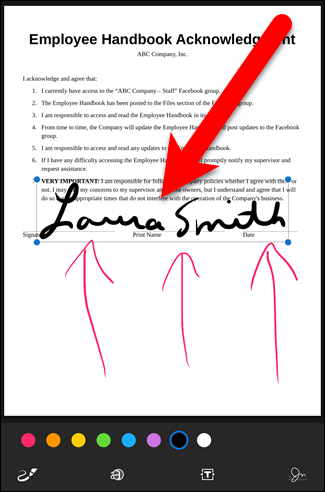 Personally, I go to my favorite image editor, insert a scanned copy of my signature convert it to a png file, so I can strip the background away so all that is left is the the underlined signature. then I crop away everything but the signature then save that file.... Personally, I go to my favorite image editor, insert a scanned copy of my signature convert it to a png file, so I can strip the background away so all that is left is the the underlined signature. then I crop away everything but the signature then save that file. Personally, I go to my favorite image editor, insert a scanned copy of my signature convert it to a png file, so I can strip the background away so all that is left is the the underlined signature. then I crop away everything but the signature then save that file.